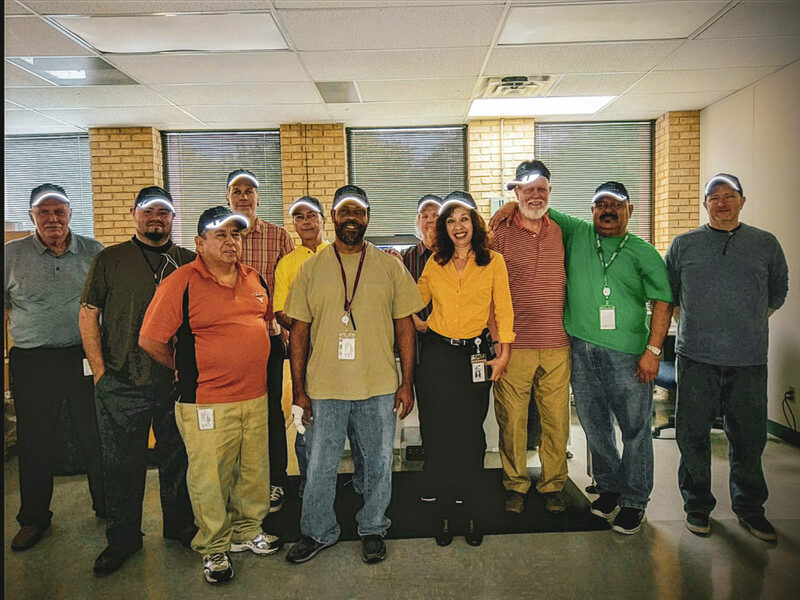 Print Shop Pro® is a fully automated web-to-print management system designed exclusively for in-plant print shops and copy centers. You’re invited to our webinar to learn more. 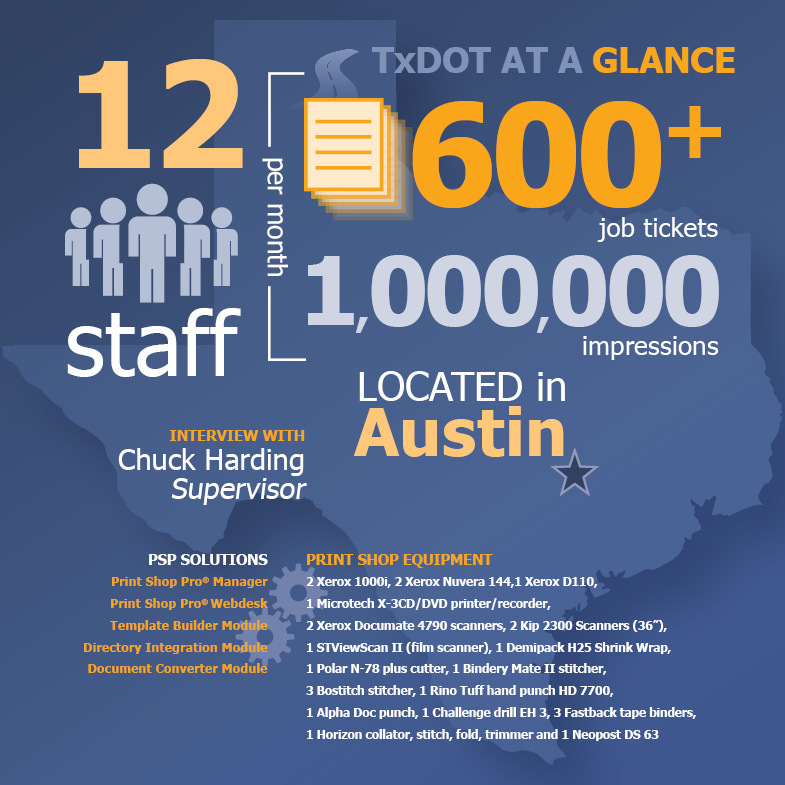 The Texas Department of Transportation (TxDOT pronounced “tex-dot”) is a government agency located in Austin Texas and is one of the Top 100 Largest In-plants in the US. The agency’s primary responsibility is overseeing and managing the construction and maintenance of the state’s immense state highway system. 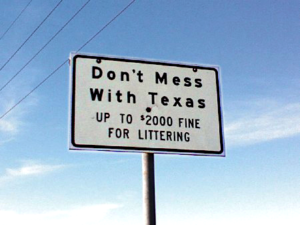 TxDOT is known for creating the slogan “Don’t Mess with Texas” as part of a statewide advertising campaign in the early 80’s designed to reduce littering on Texas roadways. The slogan is still in use and remains popular today. 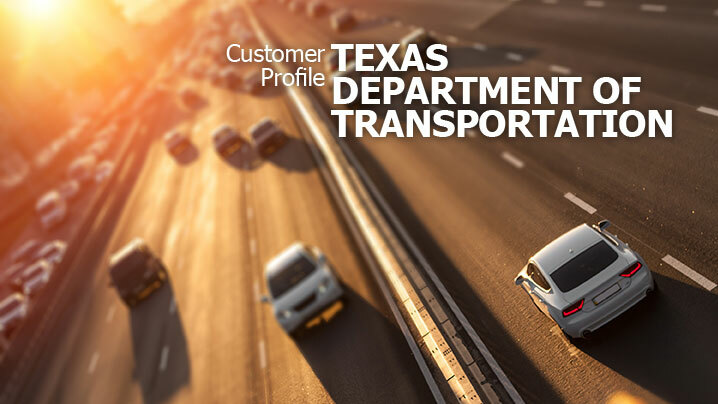 TxDOT is one of the state’s largest departments in terms of the number of subordinate offices—it maintains 25 geographical districts throughout the state. This large number of departments is needed due to the massive size of the state, the widely varying climate and soil conditions affecting public roads, and the differing needs of the local population (urban vs. suburban vs. rural). You’re invited to our webinar to learn more.